Prominent & Leading Exporter from Ahmedabad, we offer triple roller mill and triple roller mill machine. 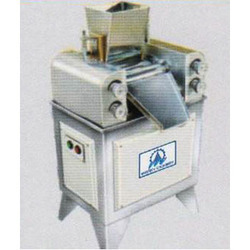 Triple Roller Mill Machine is manufactured, exported and supplied in multiple specifications to meet the varied client needs. Widely acknowledged for its efficient performance, rugged construction and low power consumption, the proffered selection is widely sought after in the industry. These machines are used for mixing printing inks, pharmaceuticals, chemicals ceramics, cosmetics, plastisols, graphite and paints.